The College of Business Administration at San Diego State University is one of the nation’s oldest and largest AACSB accredited business schools. Nationally recognized for its superior academic quality, the College celebrates research and teaching excellence as it prepares business leaders to serve in top positions throughout the world. SDSU’s College of Business is dedicated to educating, inspiring and motivating students to become entrepreneurial thinkers, innovative leaders and socially responsible global citizens. 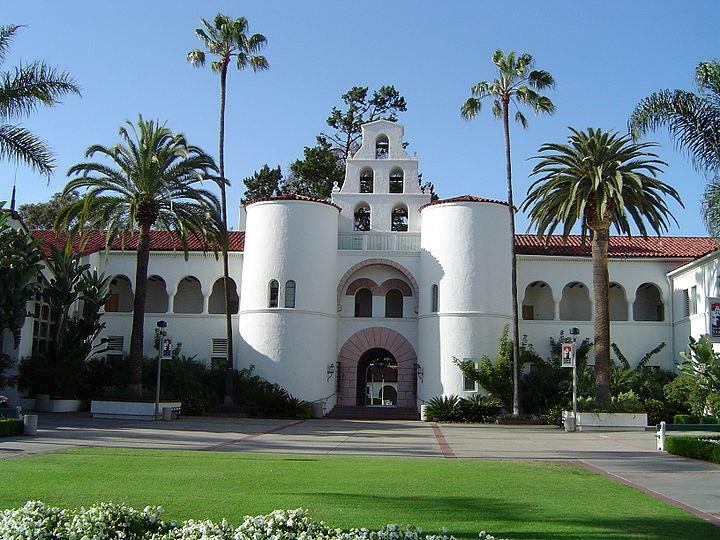 Nearly 1,500 potential MBAs apply to SDSU's "highly competitive" program every year. The Admissions Committee considers a number of factors, including GMAT score; GPA for undergraduate academic work (minimum 2.85 for American students, 3.0 for international students; average GPA for admitted students was 3.3); letters of recommendation, resume (wor...Nearly 1,500 potential MBAs apply to SDSU's "highly competitive" program every year. The Admissions Committee considers a number of factors, including GMAT score; GPA for undergraduate academic work (minimum 2.85 for American students, 3.0 for international students; average GPA for admitted students was 3.3); letters of recommendation, resume (work experience is preferred but not required); and personal statement. None of the final three is required, but each "can enhance an application," according to the school's website. International students whose first language is not English must also submit official TOEFL scores; a minimum paper-and-pencil test score of 550, computerbased score of 213, or an Internet-based score of 80 is required. Applications are accepted for both the fall and spring terms. They are processed on a rolling basis, so it's best to apply as early as possible. It is not difficult to sum up the qualities that draw students to San Diego State University’s Graduate School of Business. One student explains, “[It’s a] nice location for me, good class times, a competitive curriculum, and a good solid reputation for a great up-and-coming business program and full and part time MBA programs.” Those views are consistent throughout the comments about this “quite affordable” local school that has “a great business reputation.” Though some air complaints about a few “mostly uninterested” professors, the consensus is that SDSU’s business program is the “best quality for the money.” Couple a “flexible program” with a “large networking base” and attendees will find “a community with numerous opportunities to give back and share [one’s] new skills in constructive ways.”What students walk away with will depend on their own focus and drive, since the “quality of professors is highly volatile and you can't be sure how well they will teach or lecture.” However, when the professors are good, the classroom experience is very worthwhile. Business students are glad that “professors with long work experience are common.” For example, one student boasts, “The two courses in my last semester con­sisted of a senior director and a CEO from Qualcomm (a Fortune 500) and biotech firm, respectively.” That “large depth of experience and knowledge” these educators share with their students suggests “professors promote critical thinking in class, as opposed to just lecturing. More emphasis is placed on in-depth analysis than on test taking.” One student without a strong background in business was glad to note, “This school made my transition from a non-business background to a business program very smooth.”Such experience extends to the students. “Fifty percent of people have their own busi­ness in my classes,” one student notes. Even for those without a wealth of previous busi­ness experience, SDSU offers a “consistently [top] ranked” entrepreneurship program and a Sports MBA program that boasts “access to many higher-ups in the sports indus­try in the San Diego and Southern California area,” It also takes part in a Venture Capital Investment Competition that gains big exposure for participants. Some students worry that “ridiculous budget cuts” will mar the MBA program, but for others the future looks bright. Current administrators are “transforming the program,” and the school is “inte­grating lecturers into the courses,” all of which indicates a program that is sometimes “flying by the seat of its pants” but is generally on the upswing. Want more info about San Diego State University, College of Business Administration Part Time MBA? Get free advice from education experts and Noodle community members.